My Wildfitness break could not have come at a better time. The indulgence of the holiday season combined with a big birthday milestone meant that I was ready to take action…..a new decade, a new me!!! 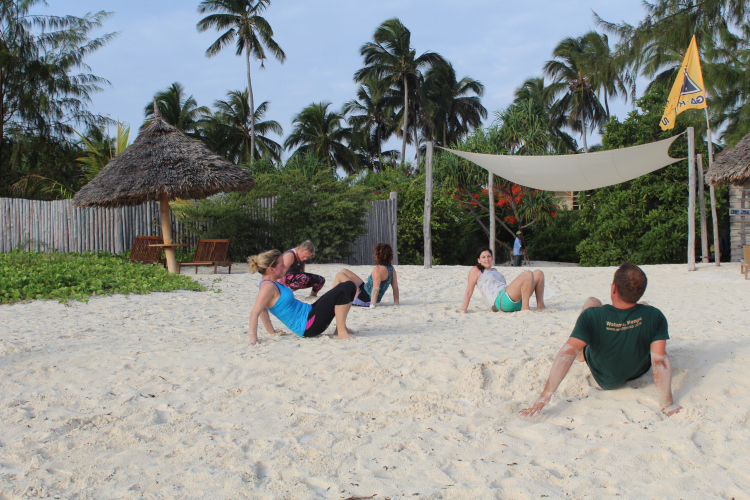 I first heard about Wildfitness 13 years ago when I met the founder, Tara Wood when I was UK Manager of the Kenya Tourism Board. I was struck by the simple but effective philosophy. 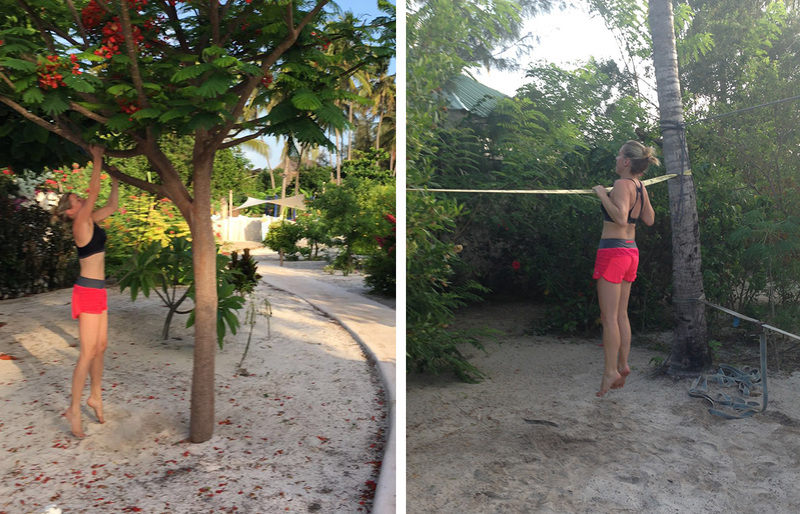 These were not ‘detox’ or ‘boot camp’ holidays but ‘transformative fitness retreat’ designed to rebuild the body’s athleticism & strength using the natural environment, healthy food and plenty of rest. Fast forward 10 years and Wildfitness become a PR client of Small World Marketing’s. 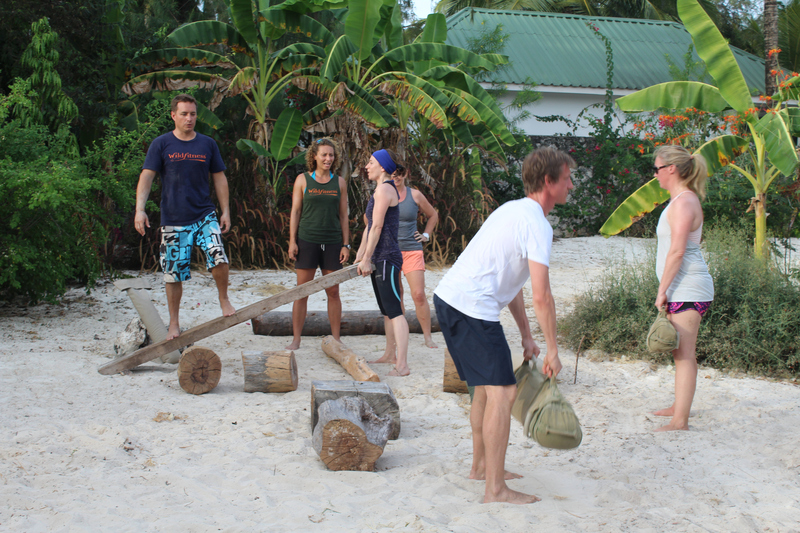 There was so much interest from the media and trade that I decided I had to practice what I was preaching about so signed myself and a willing girlfriend up to do the course in Zanzibar. 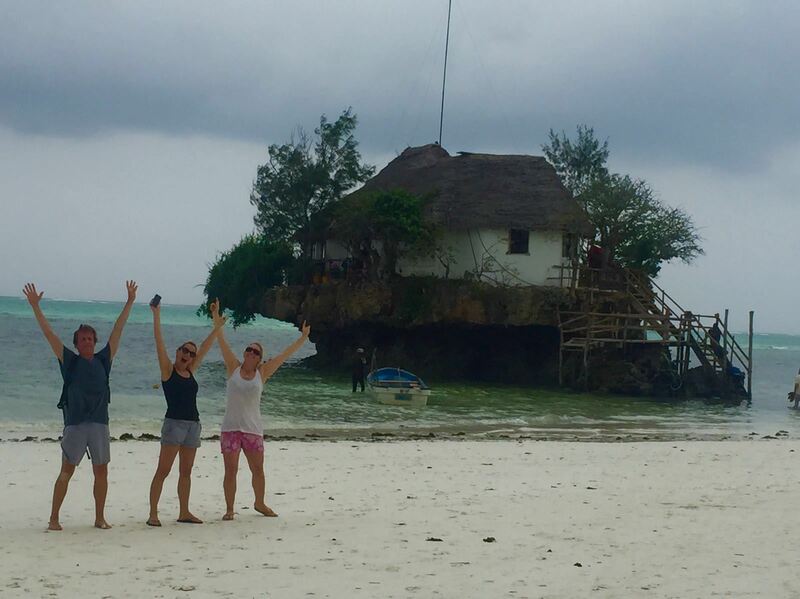 At Heathrow Airport, Claire & I nervously tucked into our last carb-ladened, wine-fuelled meal and boarded our flight to Zanzibar. Arriving into Zanzibar, we stumbled out into the bright, hot sunshine, bleary eyed and pasty white. Ivan the Location Manager was there to greet us, no doubt thinking that the WF team had a serious challenge on their hands! 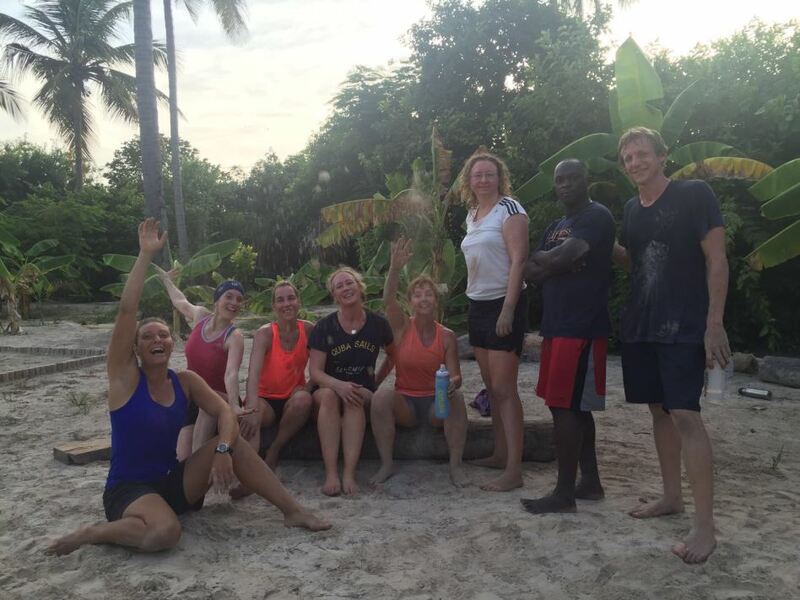 This course was the inaugural one at one of our property clients – Zanzibar White Sands Luxury Villas & Spa which is located on the Eastern side of the island and one hours drive from the airport. Fittingly our arrival drink was “mother nature’s sports drink”….coconut water, freshly picked from the palm trees outside. There were 7 of us on the course ranging from 34 to 55 years old…6 ladies and one man (who did amazingly well at putting up with the ‘white noise’ of us ladies chatting constantly!). After initial introductions were out the way we were straight down to business and got changed ready for our first session. The philosophy at Wildfitness is that nature knows best. Wildfitness believes that looking to nature and what we know of our evolutionary origins provides the most useful guide for how to be fit and healthy today. The idea is that we should eat what nature has given us (no processed foods), exercise in our natural environment (run & play outside…not in a sterile gym) and allow our body to rest and recuperate when it needs to. They believe that doing natural movements (often aka crab crawl, rabbit jump, crocodile crawl), helps you learn how to use rhythm, elasticity and your body weight to work with gravity to be graceful, functional and prevent injury. The idea is that you will use your body in the way it was designed and slowly fix bad posture and undo nasty habits. Each course has a head coach and a second coach and then a locations manager. 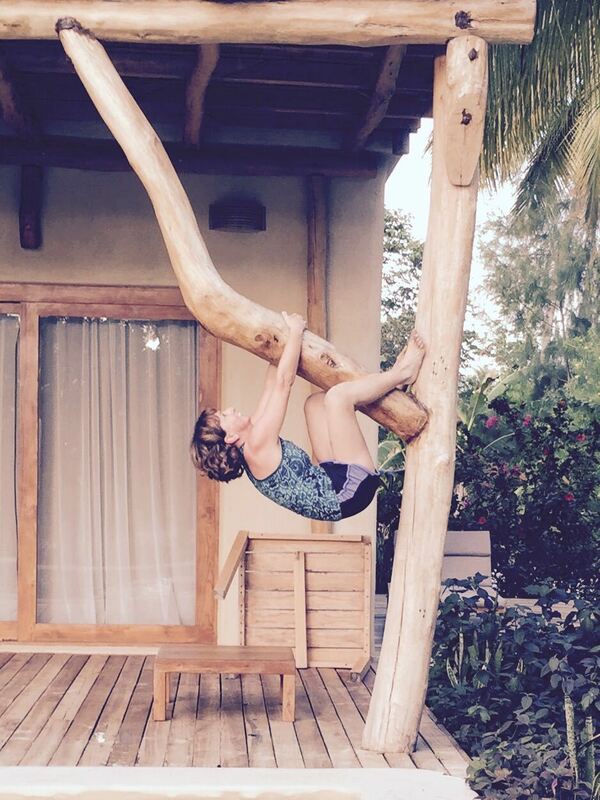 Our coach Anne Laure was an amazing ambassador for keeping healthy and for Wildfitness. Smiling, strong with endless energy bouncing from foot to foot, just looking at her made you want to start exercising! A big part of this philosophy is the idea of ‘play’. After a warm up where they showed us how to stretch with a long wooden pole (or broom handle!) and use a tennis ball & golf ball as a highly effective massage tool, we were then taken down to the beach. On sand so soft, we all looked like we had been coated in flour, we were taught various ‘wild movement’ techniques including crawling like a crab. With very bemused looks fromother beach goers, we ended the session by crawling crab-like in-elegantly into the turquoise sea. That evening we introduced ourselves properly, giving our reasons for attending the Wildfitness course. It immediately struck me how many people had booked it as a break from groundhog day. They were working hard living a fast-paced lifestyle and exercising and their health had taken a back seat. They felt that something needed to change & had turned to Wildfitness. My reason for going was no different. A busy mum of three trying to balance work and family, taking a week out felt incredibly indulgent….but also very necessary. The following morning was our ‘functional movement screening’ (or MOT), postural tests and ‘before’ photos. Self conscious of my white….haven’t-seen-the-sun-in-ages…..body, I was photographed & filmed doing basic activities such as jumping, lifting, stretching and boxing. As part of the review you tell the coaches any problems/injuries you may have with your body, or areas you want to work on then pray that they can work their magic within a week! As a group, we had taken over the 5 bedroom villa at ZWS with the extra couple of people staying in the neighbouring 2 bedroom villa. The villa worked brilliantly as it not only allowed had a large private outside area where we could exercise in but also the comfortable, airy sitting room became our communal hangout area. 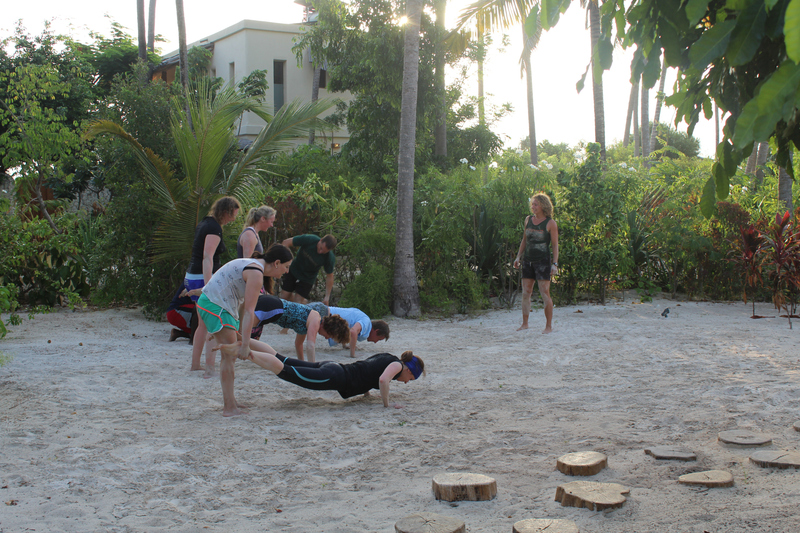 The days at Wildfitness started early at 6.30 and consisted of 3 sessions and then a workshop in the evening. The morning session was normally a hard session such as boxing, climbing, running etc lasting 1.5 hours. Breakfast was at 8.30 then it was rest time until the second session at 10.30. The afternoon was normally quite quiet until the 3rd (often more energetic) session at 4pm. Sleep and rest is really encouraged and I was amazed how much I slept in the first two days. It was my body’s way of recovering from the heat and the sheer amount of exercise we were doing. In the evenings workshops were held in the villa sitting room where we learned about the philosophy of wild movement, wild eating and how to incorporate them into our daily life. 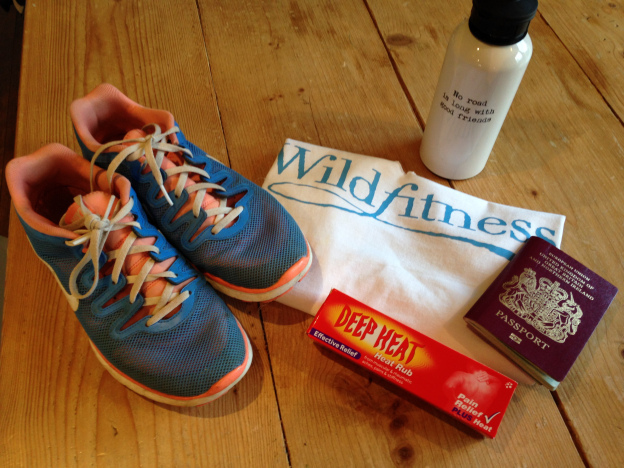 The diet at Wildfitness is all about being ‘natural’. 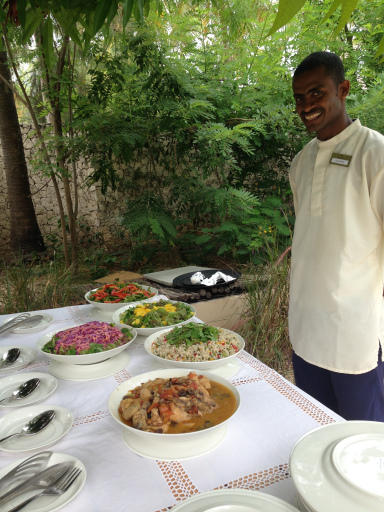 The meals are wholesome and based on seasonal, local products….perfect for Zanzibar! The breakfast table was always groaning with a platter of deliciously sweet mangoes, watermelon, pineapples, natural yoghurt, honey and eggs. Sometimes we were lucky enough to get a melt-in-the-mouth coconut or banana pancake (with no flour) and these quickly became a source of obsession for us. We weren’t allowed any caffeine, alcohol, carbs or processed food. Its amazing how food becomes such a focus & obsession when you can’t havecertain things. Luckily the Wildfitness designed food didn’t disappoint and was delicious as well as very healthy. On day 3 I had a dull headache all day from the lack of carbs but amazingly, once I had worked through it, I felt so much better on day 4/5. I was far more energetic, my skin had lost the pale, dull sheen and appeared far clearer. More excitingly, I could already see the difference that all my hard work was making. 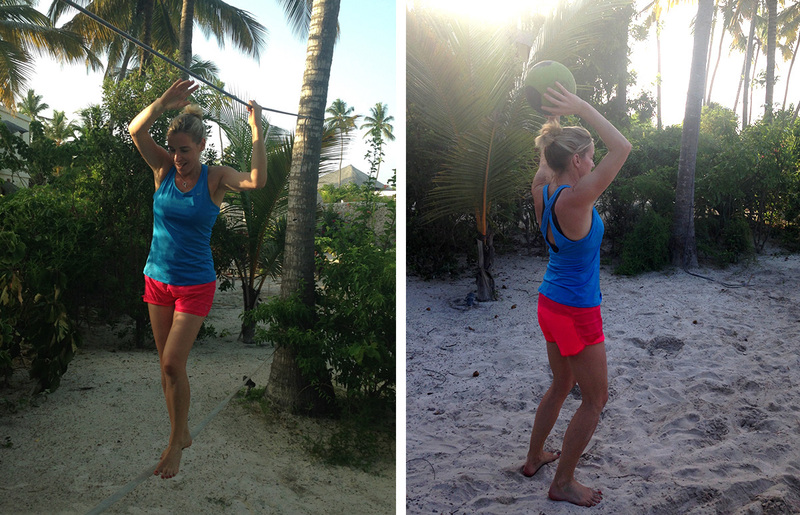 Between wild running (barefoot) along white sandy beaches, lifting (logs, rocks & people!) and throwing (logs, rocks & people!) swimming 4 km in the sea, brachiation (swinging like a monkey from the various trees around the hotel) we all ached in places we never knew existed and were so stiff that moving around became an awkward comedy. Yet the sessions are timed perfectly and are so engaging that I found myself throwing myself into them and forgetting that earlier in the day I could have hardly even sat on the loo…..let along climbed a tree! The team hit the right balance between motivation and humour and the group bonded strongly over their aches, pains and desire for a chilled sauvignon blanc! Thursday was our morning ‘off’….designed to give us time to rest and recuperate….or book in an extra, much needed spa session. 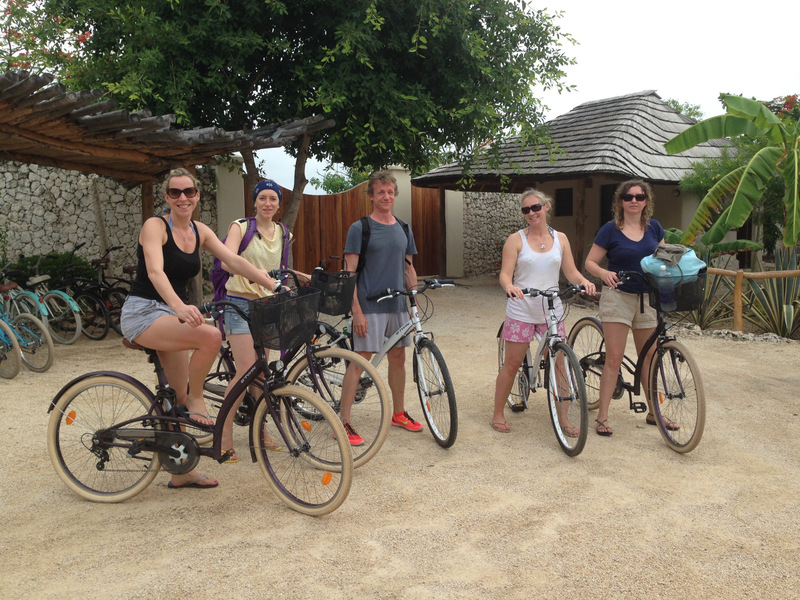 However, determined to make the most of my time in Zanzibar, I encouraged a group of us to take the beach bikes and cycle up to ‘The Rock’ restaurant which I had heard so much about. The restaurant was 17km away. ‘Easy’ we thought, confident that our new super fit, lean bodies would easily be able to cope. 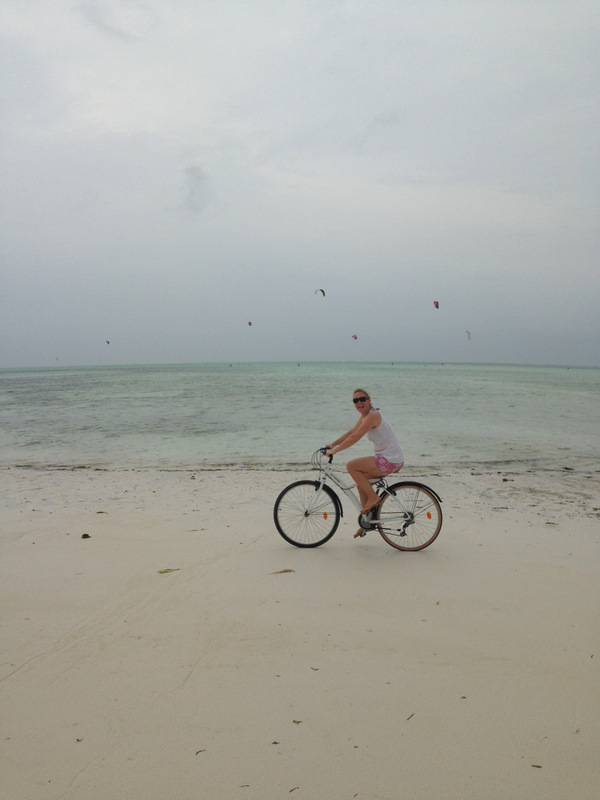 However 17km cycling on a beach, against the wind is slightly harder than anticipated! We arrived bedgraggled but chuffed that we had managed to push ourselves yet again…without the encouragement of the ever energetic Anne-Laure encouraging us. 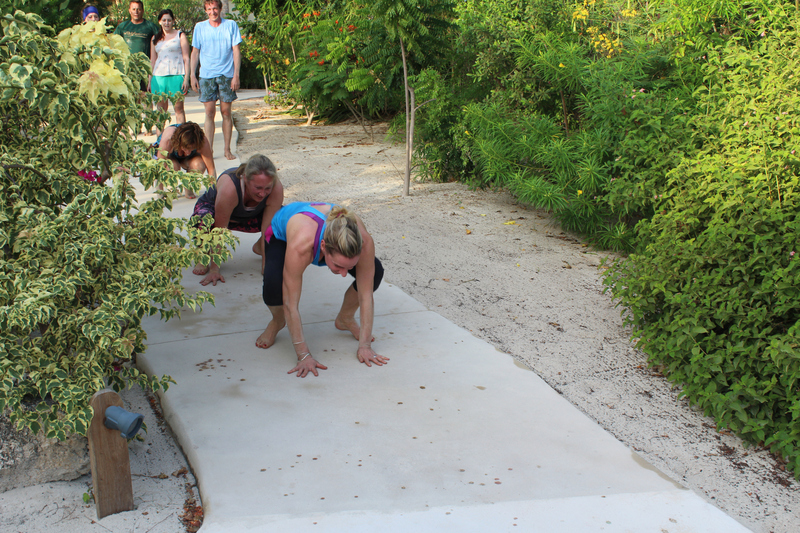 By the end of the week everyone was walking straighter, the exhausted high flyers began to relax, I began to lose my ‘knackered mum’ look and we started really feeling physically stronger and ready to face the sessions. The experience made me realize that your body can tolerate any amount of grueling exercise when pushed by the right trainer, eating the right food and getting the right amount of sleep. 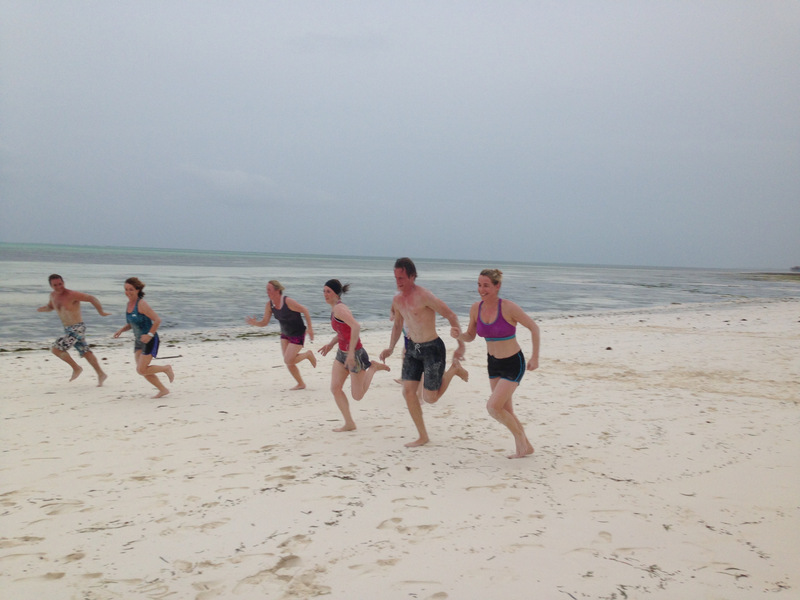 Wildfitness is a body as well as mind changing holiday…..it is worth every drop of sweat.